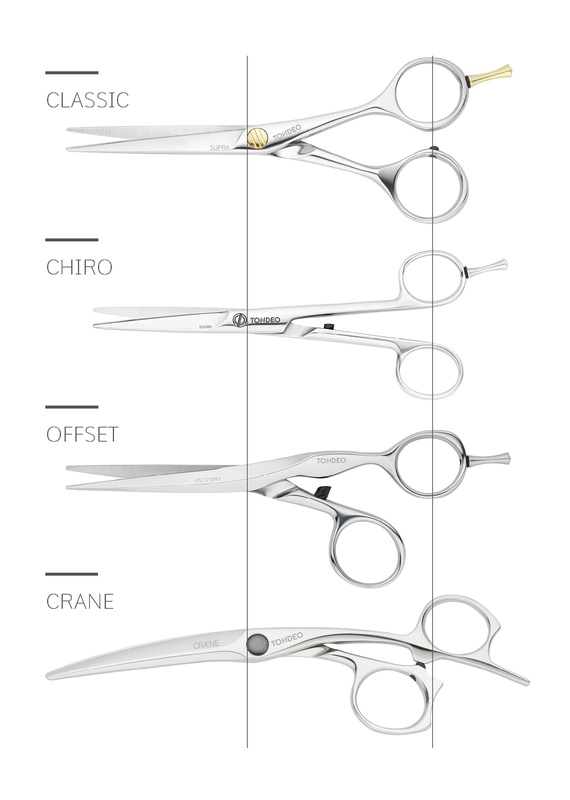 There are 4 scissors shapes that are characterised by different ergonomic features. In the Classic shape, the lower and upper blades are identical. The Chiro shape is characterised by and optimised blade/shank proportion with the leverage. In the various versions of the Offset shape, the angled handle position or the shortened thumb blade ensure natural handling and relaxed operation. Due to the special Crane shape, an ergonomic scissor position is achieved, in which the wrist, arm and shoulder are relieved. Serrated cutting edges are particularly suited for trims and new hairdressers, as they minimise the pushing forward of the hair. Slicing techniques are only possible with polished blades. Due to various sharpening techniques and cutting edges angles, a sharpness and lifespan is achieved that reaches its optimum in the premium line with the integrated CONBLADE cutting edge. A good pair of thinning scissors must be able to be drawn out of the hair when closed and the hair may not be crushed. This is realised perfectly with the tulip serration of the S and premium line and their larger catch spaces. If a screw is loose the scissor blades do not close optimally, which can damage the cutting edge. A screw that is adjusted too tightly also destroys the cutting blades. The TONDEO screws guarantee optimum scissor tension even in the A-line. A good pivot point must guarantee that the scissor blades do not become interlocked. The more accurate a pivot point, the more stable the cut, the more durable the scissors and the easier the operation. 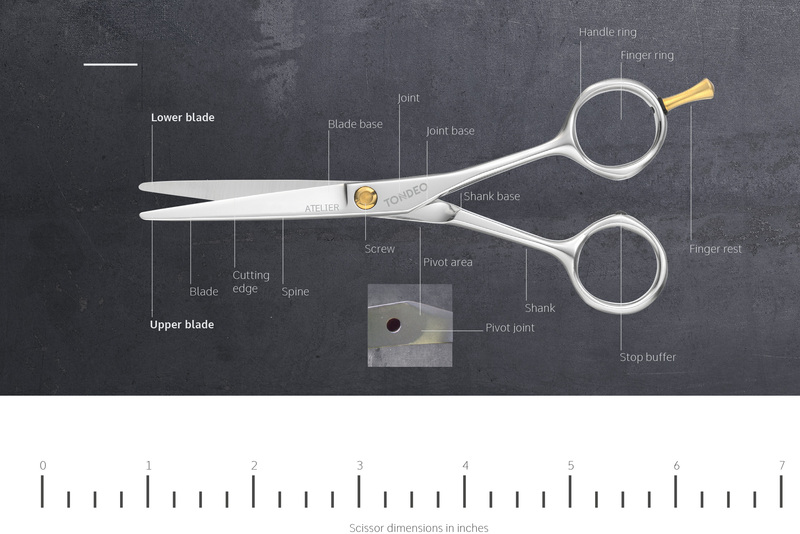 TONDEO scissors have special pivot points that increasingly optimise these features.